Entrance to the passenger waiting room for white passengers, Union Station, New Orleans, 1948. Jim Crow laws allowed whites to separate themselves from African-Americans, both on the trains and in the stations. The Franck Studios caption on the print says “So. Pacific RR Co”. Southern Pacific’s Sunset Limited train operated from Union Station, as did the Illinois Central’s City of New Orleans and Panama Limited trains. Exterior shot of Union Station. HNOC note says this is from 1941, but that date is too early. That’s Union Passenger Terminal behind Union Station. 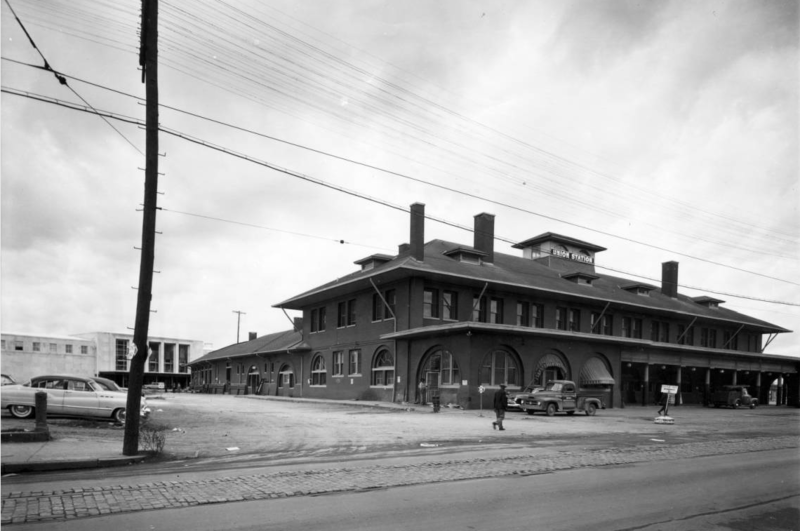 Construction on UPT did not begin until 1950. 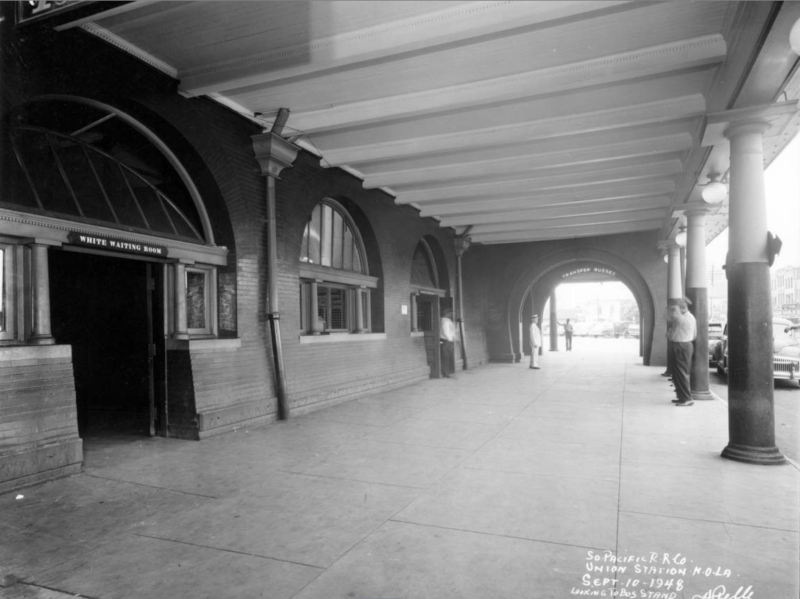 The new station opened in 1954, at which time Union Station was torn down.